I didn't write anything here for a long time. 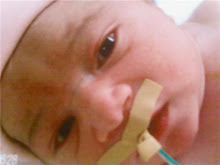 My son Mikaal was born on 22 September 2009, he passed away when he was just 4months and 20days old. It has been a very though road and honestly I don't know how I survive. Mikaal is now a big brother of a beautiful 6 month old baby boy, he's a good reminder of what Mikaal could have been. I miss him more than words can say and I wish he could be here running around, I miss him. I will be writing his whole story, post some videos and try to find a way to leave his story here in a good way. If you were here you would be 7months old! I didn't post anything yesterday but it was a sad day! Instead of choosing new clothes, a cake or toys to celebrate Mikaal's 7th month, yesterday I was choosing a stone for his grave and some flowers! Happy 7th month baby boy! Weddings, family reunions, isn't it supposed to be a haapy time! This weekend was my brother's wedding and everything was going ok and I was having a good time. But when I see other babies my heart breaks. I spent most of the time trying to control my tears. My brother does understand so that is good! But then still had to listen the most horrible things from my "family" (they never met Mikaal, they did not call to say congrats you had a baby, they did not call saying sorry you lost your son). They just said your are young and can't be stuck because of this thing. You'll have more kids so YOU HAVE TO MOVE ON! 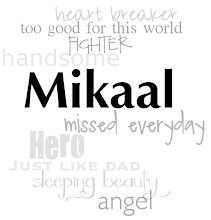 I'm hurt because they say things like Mikaal was nothing... and Mikaal was, is and always will be my everything! You dont know how I feel , please don't tell me that you do. 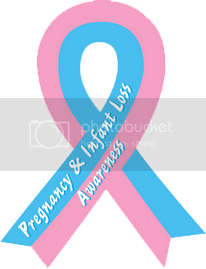 There is just one way to know----Have you lost a child too? "You'll have another child"--Must I hear this everyday? Can I get another Mother too, if mine should pass away? Would God, on purpose, break my heart then watch as my tears flow? "you have a angel in heaven, a child up above"
But tell me, whom on earth should I give this love? "Arent you better yet?" Is that what I heard you say? You think that silence is kind but it hurts even more. I want to talk about my child that has gone through death's door. Don't say these things to me, although you mean well. They do not take the pain away, I must go through this hell. But a simple " I am sorry you lost your child" is all I need to hear. After that we got a letter from the hospital. Very nice, they still remember Mikaal! I'll post it here another day! I just wish you were here!! Come and give me a kiss today so I won't feel so sad ok? PLEASE - don't ask me if I'm over it yet. I'll never be "over it." PLEASE - don't tell me he’s in a better place. HE isn't here. PLEASE - don't say "at least he isn't suffering". I haven't come to terms with why he had to suffer at all. PLEASE - don't say "well, you're lucky...he would have been born with a lot of problems." Would you love your own child any less if they had been born with problems? PLEASE - don't tell me you know how I feel unless you have lost a child. PLEASE - don't tell me to get on with my life. I'm still here, you'll notice. PLEASE - don't ask me if I feel better. Bereavement isn't a condition that "clears up." PLEASE - don't tell me that "God never makes a mistake" or it was God's will." You mean he did this on purpose? PLEASE - don't tell me "at least you had him for 3 days. Or, "at least you know you can get pregnant. "What year would you choose for your son to die? PLEASE - don't tell me God never gives you more than you can bear. Who decides how much another person can bear? PLEASE - Just say you are sorry. PLEASE - Just say you remember him and our excitement if you do. PLEASE - Just let me talk if I want to. PLEA PLEASE - Just let me say his name without turning away or changing the subject. PLEASE - let me cry when I must. Why do we have to listen horrible things? My life is so bad right now... I'm pretending everyday, every minute. It has only been a month, two weeks and two days since my baby left to heaven and it feels like it is happening everyday, every hour. Yesterday I had to listen the most horrible things... The person said: "What are you doing these days? Just missing Mikaal?" "Life has to go on, you know" "Are you trying for another child?". Very easy to say when you never lost a child. It really hurt to listen this things specially from someone who's meant to help you. They expect me to have plans for the future but I don't want to do anything, for me is no more future. Mikaal was my present and future now he's gonne and I really feel I have nothing, I don't wanna have nothing, I don't deserve to be happy. He's gonne and took all my happiness with him. Here is the only place I feel good and I feel I can be honest. I feel angry and sad with everything and everyone. I feel no one cares about my pain. Why everyone expects me to be ok?? Why do I have to pretend that nothing happen to me? Why do I have to change my plans? Why do I have to support everyone except myself? One day my world came crashing down, I'll never be the same. They told me that my child was sick... I thought, am I to blame? I don't think I can handle this... I'm really not that strong. It seemed my heart was breaking... As, I'd loved her for so long. I will not give up on this child... despite your best "advice". I will give my child a chance... No matter what the price. And I will learn all that I need... to help my child to thrive. 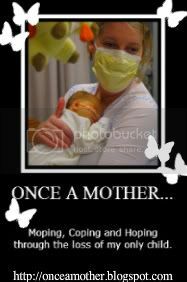 I'll even use that feeding tube... My child will survive! Will he require therapy? What if he can't gain weight? Alright God I can do this... I will not curse our fate. How many parents would welcome that sound? Tomorrow Lord, I will be kinder. Then I cry for the parents whose lives have been broken, And I look to God wondering why? Oh Lord, I just can't know your ways... No matter how I try. My mind says savor each moment she's here... But my heart whispers,"Please let her stay". From wondering will she be alright? to watching her reach out her hands. You see, my child is loved so much... I would face any trial. And for those who have angels in heaven... Our hearts share in all of your tears. 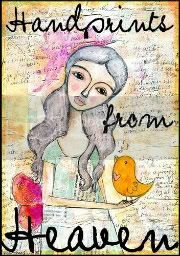 And I will embrace that beautiful day... When I became a "heart mother".